With its WaterMark certification and WELS approval, our Shower Set ensures that you shower with total peace of mind. You get a top quality fixed 9” shower head that simulates rainfall for a very soothing shower plus a handheld shower head with up to three spray patterns to let you target the water at specific areas with varying intensities. Made with a solid brass body and finished in premium chrome, the durable fixed shower head also features a built-in brass diverter to prevent leakage. 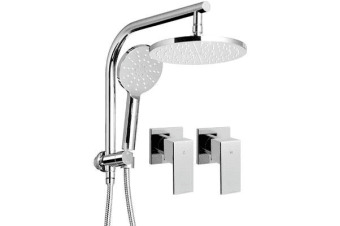 The handheld shower head has a 1.5m stainless steel water hose to allow flexible use. Also included is a brass shower rack to complete the ensemble. 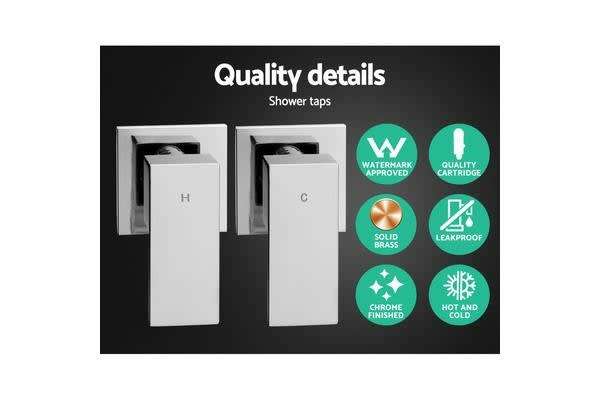 And for a perfect mix of the right water temperature, our shower taps make it easy for you. The solid brass construction make these taps absolutely smooth and durable with a drip-free 35mm ceramic cartridge to prevent leakages. The brilliant chrome finish actually comprises a multi-layer finishing process with zinc, nickel and brass plating. The taps also have hot and cold markings for hassle-free use. 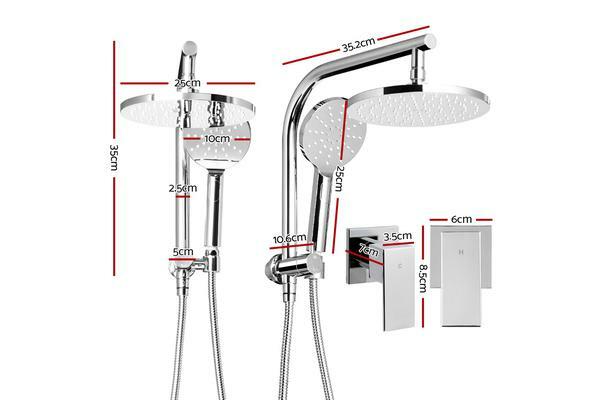 Not least, the shower mixer also carries a WaterMark certification and complies with Australian standard AS/NZS 3718 for safe use and installation.